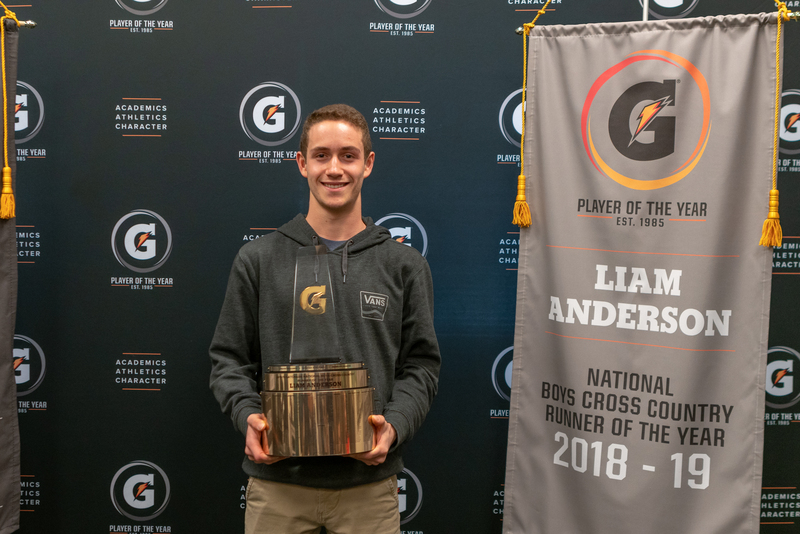 Liam Anderson, the NXN Champ and Gatorade XC Athlete of the Year, on his favorite pro runner. Remember Mr. Badass who killed a mountain lion with his bare hands? Leading Sprinter/Hurdler in NCAA Division 2 was a man who NOW IDENTIFIES as a Woman. 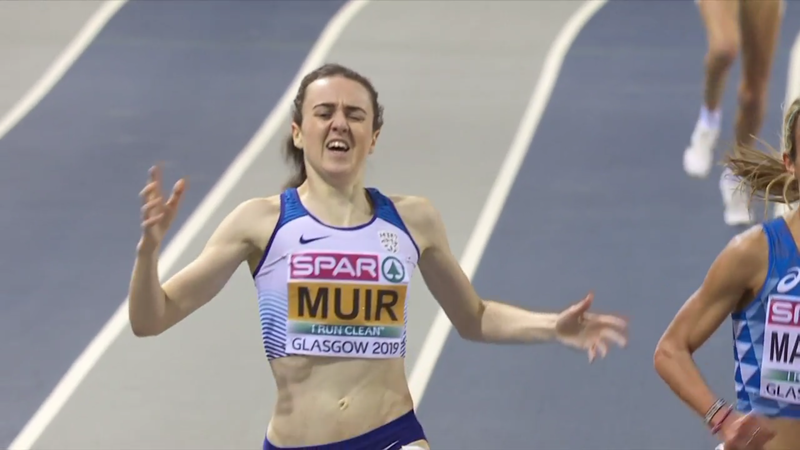 LRC Laura Muir Destroys Konstanze Klosterhalfen Over Final 200 To Retain European Indoor 3,000m Title Muir blitzed her final 1,500 in 4:05 flat, which included a final 200 of 28.32. Steve Cram’s “British Athletes To Watch” At Euro Champs In Glasgow This Weekend His list includes Laura Muir, multi-eventer Katarina Johnson-Thompson and sprinter Richard Kilty. 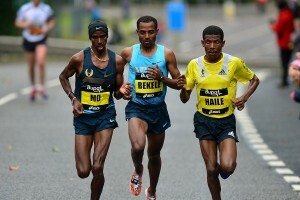 LRC WR Alert: Yomif Kejelcha Targeting 1,500 & Mile World Records – In the Same Race! 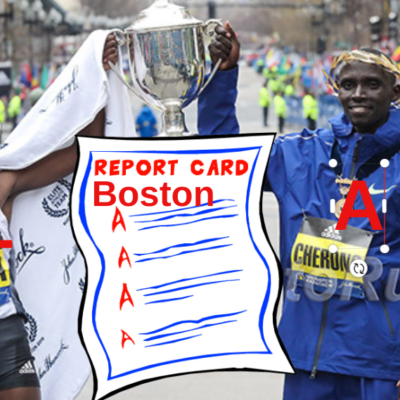 – At Boston University On Sunday Has Alberto Salazar lost his mind or is it smart for Kejelcha to try to get two WRs in one race? 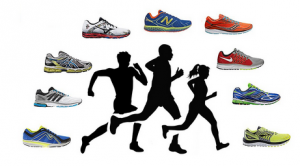 RR Storylines and Subplots at the 2019 Tokyo Marathon A fantastic read from Brett Larner. After 12 years, the women’s race in Tokyo is finally on par (actually superior) to the men in Tokyo + Japan will likely celebrate its 100th man breaking 2:10:00 on Sunday. 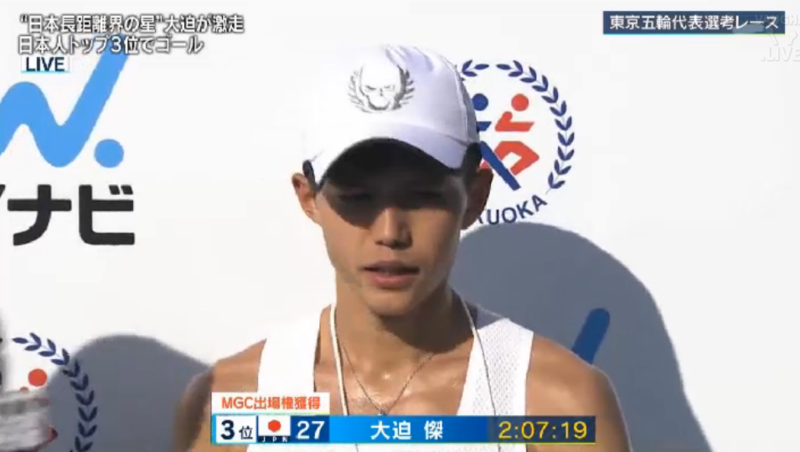 LRC 2019 Tokyo Marathon Men’s Preview: Can Japanese Record Holder Suguru Osako Earn A Massive Win On Home Soil? Going strictly by time, Japanese male marathoners accomplished almost as much in 2018 as the United States has in its entire history, but a victory at home in Tokyo would be a whole new level. 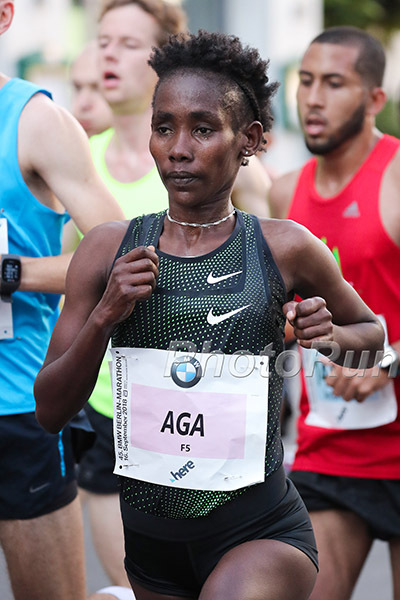 LRC 2019 Tokyo Marathon Women’s Preview: Can Ruti Aga Finally Break Through After 3 Straight Runner-Up Finishes in Majors? The women’s field in Tokyo is tougher than the men’s field so victory for Aga is by no means guaranteed. Kenya’s Daily Nation: Florence Kiplagat Out To Conquer The Tokyo Marathon After she was only 4th place in Chicago last year, she is trying to put up a good performance so she can be selected for Kenya’s Olympic marathon team next year. The Blaze: Franklin Pierce’s Cece Telfer Is Breaking Women’s Sprint Records After Competing As A Man Last Season In D2, Telfer is ranked 3rd in the 60H, 5th in the pentathlon, 7th in the pentathlon, and 16th in the 60m. 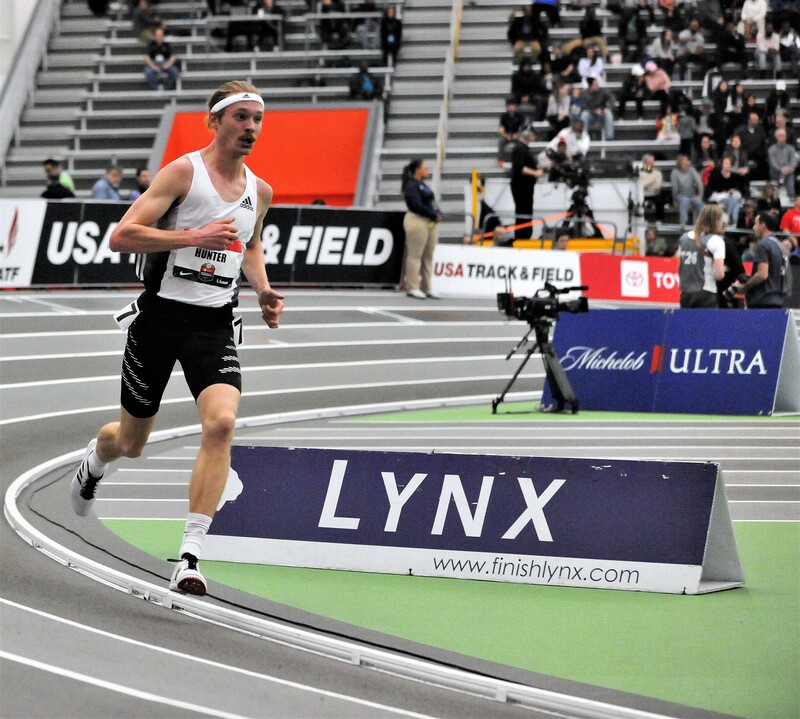 LRC Podcast: Athing Mu & Donavan Brazier 600m Greatness, Drew Hunter From Slow Heat, NOP Lovefest, TV Blunders, Kejelcha Mile Preview A look back at USAs and a look ahead to another WR attempt in the mile + some broadcast blunders. 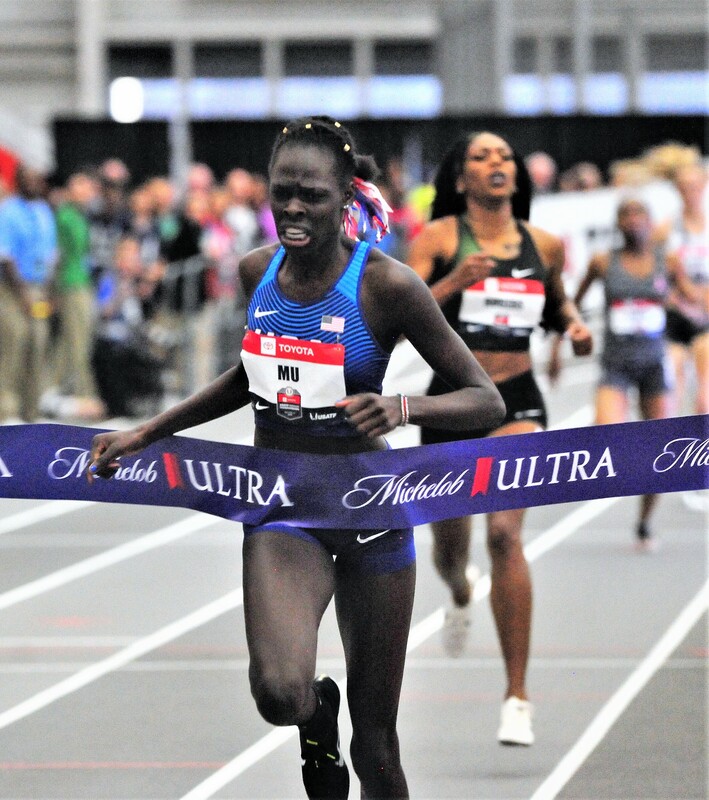 LRC 16-Year-Old Athing Mu Has Ribbons In Her Hair, Braces In Her Mouth … And An American Record On The Track Learn about the high schooler who shocked the world at Toyota USA Indoors. 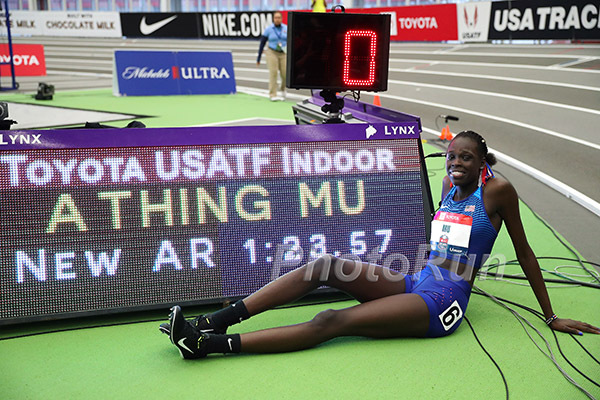 LRC A Star Is Born: 16-Year-Old Athing Mu Breaks American Record, Just Misses WR To Win 600 At 2019 USA Indoors In 1:23.57 Less than 24 hours after breaking the HS record, Mu ran a nearly 3-second PR to break the senior American record and miss the WR by .13. LRC Donavan Brazier Crushes World Record*, Runs 1:13.77 To Win 2019 USA Indoor 600m Title Brazier shrugged off running faster than any person ever before for 600m indoors and has his sights on trying to get in the 1:43s indoors. Rest Of Distances: Shelby Houlihan Starts A New Streak, Engels Gets USA Title #1, Clayton Murphy And Ajee Wilson Each Get Another Title The NOP swept the men’s distance races. USATF Sunday Recap: Keturah Orji Wins TJ Over Tori Franklin (14.55m To 14.45m) Other non-distance winners included Devon Allen (60H – 7.60), Sharika Nelvis (7.85 – 60H), Katie Nageotte (4.81m PV), Demek Kemp (6.55 – 60m), Shania Collins (7.16 – 60m), Donald Scott (16.85m TJ) and Chase Ealey (18.62m shot put). Who gets the splash page: Athing Mu or Donavan Brazier? Amos Kirui Stuns Geoffrey Kamworor To Win Kenyan XC Championships The former world U20 steeple champ sprinted away from the field to win by a comfortable seven seconds over Evans Keitany. Two-time world XC champ Kamworor was only 5th, 13 seconds back from Kirui. Olympic 5,000 silver medalist Hellen Obiri won the women’s race by 10 seconds ahead of 2016 African XC bronze medalist Beatrice Mutai. 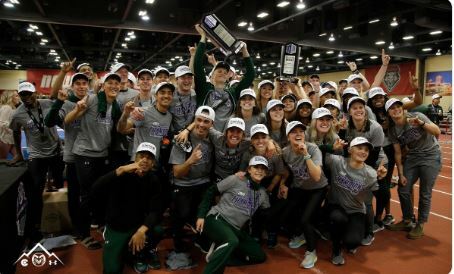 LRC Air Force Forgot To Enter Its Distance Runners For Mountain West Conference Meet, Colorado State Won Team Title As A Result Talk about every coaching staff’s biggest nightmare. The Air Force coaching staff forgot to enter their distance runners for the 2019 Mountain West Indoor Track and Field Championships and it ended up costing their men the team title. 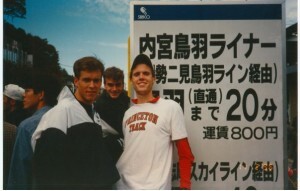 Harvard’s Kieran Tuntivate Gets Washington Post Q&A After Running 2,600 Meters Of Ivy League 3k Barefoot For good measure, he came back and won the 5k the next day in his trainers even though his foot was destroyed (WARNING: There is a gruesome pic of his foot if you click through). 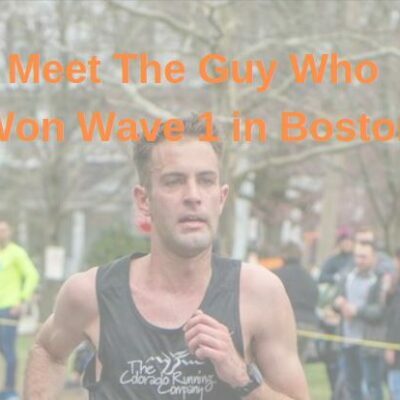 Yet Another Road Race Cheat Caught On LRC? LRC Is Johnny Manziel’s Wife The Latest To Be Exposed As A Road Race Cheat? Yes, We Think She Is Bre Tiesi-Manziel claims to have run a half marathon with no prep in exactly two hours. The problem for her is her chip didn’t record an 11-mile split and for her to finish with that time, she’d have had to run the final 6.7 miles at 4-minute mile pace. *MB: Johnny Manziel’s wife says she ran a 2 hour half with no prep. 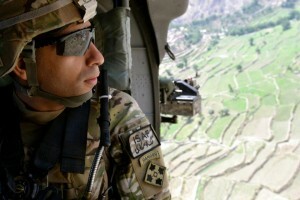 LRC’s Story Has Gone Viral: Deadspin *Daily Mail *NY Post, Busted Coverage, TheSpun.com. *USA Today The deadspin article is the best as it includes Strava data and concludes she likely only did one loop instead of two. Sadly, most but not all of them are even giving credit to us. 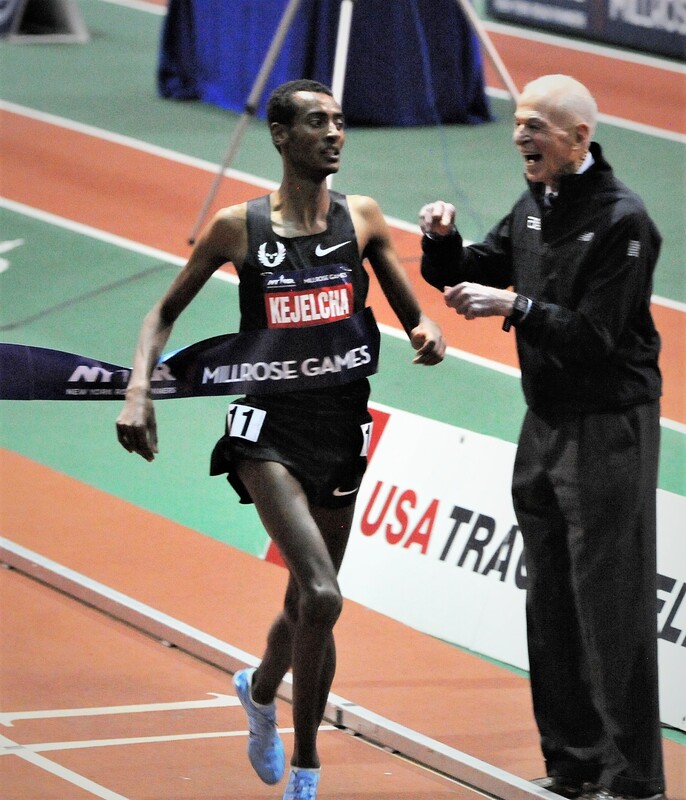 Good News: Kemoy Campbell Leaves Hospital Two Weeks After His Millrose Games Collapse Doctors were not able to determine the cause of Campbell’s heart stopping, so he had to have an internal defibrillator implanted in case it ever happens again. *MB: Bowerman TC Insta posts on story about big news coming tomorrow…what is it? 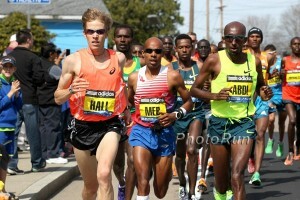 MB: Cheserek 13:08, Marielle Hall 15:07 @ BU Last Chance 5k The top 3 men and the top 4 women got under the IAAF Worlds qualifying standard. Florida Men Win SEC Title Over Arkansas With 4 Individual Crowns They beat out Arkansas by 15 points. Texas A&M’s Devin Dixon won the 800 in 1:47.47. Arkansas Women Win Their 5th-Straight SEC Title They won easily, beating Texas A&M by 81 points. Texas A&M’s Jazmine Fray won the 800 in 2:05.42. Team Effort Earns BYU Men MPSF Title By 17 Points Over UCLA Distance wins went to USC’s Isaiah Jewett in the 800 (1:47.20), Arizona State’s William Paulson in the mile (3:58.07) over CU’s Joe Klecker (3:58.51) and UCLA’s Robert Brandt in the 3,000 (7:50.27 to BYU’s Conner Mantz‘s 7:50.90). A Stanford DMR team with Grant Fisher won in 9:31.39. USC Women WIn Their 5th MPSF Title In 6 Years They dominated the meet with Stanford and Oregon a distant 2nd and 3rd. BYU’s Erica Birk took the mile in 4:34.59 and Stanford’s Fiona O’Keeffe won the 3,000 in 8:58.58. The Oregon women put up the 7th-fastest time in the NCAA this year with a 10:57.87 DMR win. Florida State And Virginia Tech Men Tie For SEC Title With 117 Points Apiece VT got a win from Peter Seufer (7:59.60) in the 3,000 to go up 113 to 107 over FSU, but FSU took the 4×400 in 3:10.61 to tie the meet. Notre Dame’s Yared Nuguse dominated the mile in 3:57.93 while Wake Forest’s Robert Heppenstall won the 800 in 1:46.87. Miami Women Initially Tie, Then Win ACC Champs Title After A DQ Costs FSU The Meet They beat out FSU by just 6 points with VT another point back in 3rd. FSU had initially tied for the win, but were DQed from their 3rd place 4 x 400 finish, which gave the meet to Miami. This was Miami’s third win in four years. VT’s Rachel Pocratsky put down a 2:03.43 to win the 800. Texas Tech Men Repeat As Big 12 Champions They won comfortably, 70 points ahead of second place. Kansas’ Bryce Hoppel won the 800 in 1:46.84. Texas Women Win Their Fifth Big 12 Indoor Title In The Last Six Years They beat out Texas Tech by 19.5 points. Kansas’ Marleena Eubanks took the 800 in 2:03.99. Nebraska Men Just Beat Out Indiana By 2 Points To Take Big Ten Champs Wisconsin’s Morgan McDonald got a dominant 13:37.85 win in the 5,000. Ohio State Women Crowned Big Ten Champions They beat out Indiana by 29 points. Distance winners included Penn State’s Danae Rivers in the 800 (2:03.45), Michigan’s Hannah Meier in the mile (4:32.46) and Alicia Monson won the 3k/5k double. Colorado State Men And Women Sweep Mountain West Champs Allie Ostrander won the 3,000 in 9:11.61 over Charlotte Prouse (9:13.64), but lost the mile to Weini Kelati (4:37.75 to 4:41.38). Princeton Completes Five-Peat At Heps Champs They beat out Penn by 28.5 points. They’re also now two-thirds of the way through another triple crown. University Of Pennsylvania Repeats As Heps Champions Harvard was runner-up 34 points back. 2016 Canadian 1,500 Olympian Charles Philibert-Thiboutot Shares Video Collage From Three Days On The Summer European Circuit The video is titled simply, 72 Hours. LRC Q&A with 2018 NXN Champion Liam Anderson: On His Steady Improvement, Indoor FOMO, & Why Centro Is His Favorite Runner The Stanford-bound Anderson was very guarded about sharing his mileage totals and goals for the spring but did reveal that Matthew Centrowitz is his favorite pro as Anderson likes how he isn’t guarded and is very open on social media. Australian City Of Bathurst To Host 2021 IAAF World Cross-Country Championships Australia last hosted an IAAF World Champs in 1996. IAAF Launch Their Official World Rankings System In the future, the system, which ranks athletes based on performances throughout the year, will be used to qualify athletes for World Championships, but not for Doha 2019. 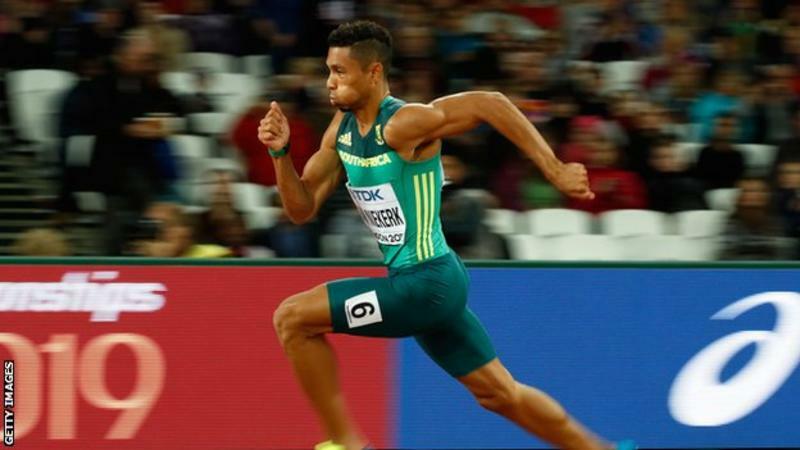 Wayde van Niekerk Wins In His Comeback Race After Being Out More Than A Year With A Knee Injury Van Niekerk won a 400 race in South Africa in 47.28. That’s 4.25 seconds slower than his WR, but at least he’s racing again. 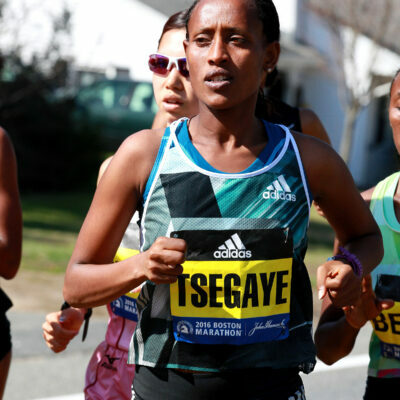 Ethiopia’s Afera Godfay Berha Breaks Mexican All-Comers Record At The Guadalajara Half Marathon With 68:53 Kenya’s Mathew Kisorio won the men’s race in 61:48. Dewi Griffiths And Jenny Nesbitt Win Welsh XC Titles This was Griffiths’ seventh win. LRC Drew Hunter Wins USATF Title #1 In Epic Fashion – From “Slow” Heat In Meet Record Time In a finish that only track & field could deliver, Hunter won his first national title while standing by the side as he watched the “fast” section fail to run faster than the 8:25.29 he had put up 3 hours earlier. Olympic Champ Ryan Crouser Beats Out Olympic Silver Medalist Joe Kovacs To Win Shot Put With 22.22m Other winners were Vashti Cunningham (1.96m) and Jeron Robinson(2.24m) in the HJ’s, Andrew Irwin the PV (5.80m), Jordan Downs (7.73m) and Kate Hall (6.51m) the LJ’s, and Brittany Brown in the 300m (35.95).